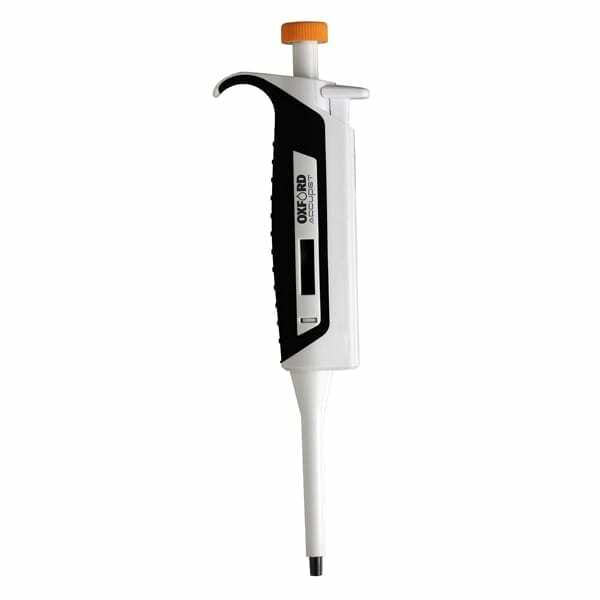 The Oxford Lab Products AccuPet Pro Manual Pipette has been a fast selling and an extremely well-received pipette for years. The AccuPet Pro Manual Pipette offers scientists exceptionally high accuracy and precision, combined with a robust and high-quality build and fantastic ergonomic design. This has made the AccuPet Pro Pipette the number one choice of pipette in many laboratories in more than 100 countries around the world. 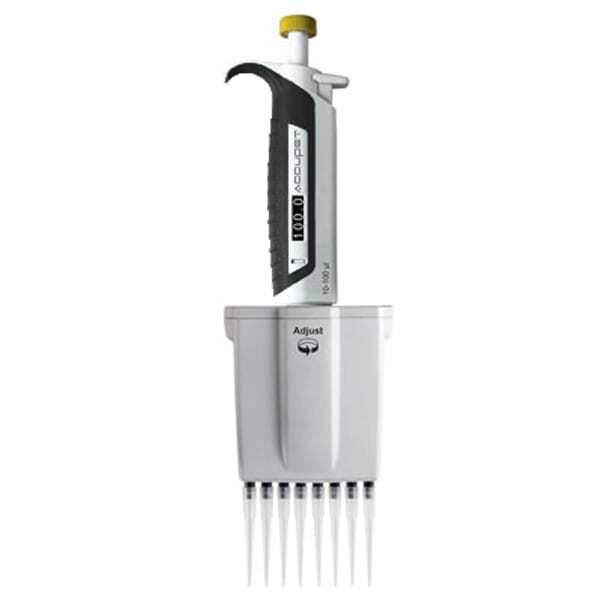 The AccuPet Pro Manual Pipette has a protective casing made from special thermo-plasto-elastomer (TPE) comprising the main body of the unit, the aspiration-dispensing knob and the tip ejector button. The distinct advantage of using the TPE to build the casing of the AccuPet Pro Pipette is that there is a minimum transfer of body heat from the user’s hand to the pipette resulting in high accuracy even after continuous use. The AccuPet Pro Manual Pipette is designed for minimum fatigue of the user’s hand and fingers during use and to reduce thumb stress from pipette tip ejection. The AccuPet Pro Pipette allows for the easy identification of pipette volume range through color coding of pipettes and the units have a very attractive aesthetic design. Looking for pipette tips to go with your new pipettes? Check out our Oxford Lab Products Universal Pipette Tips! Thermo-plasto-elastomer (TPE) casing ensures minimum transfer of body heat from the user’s hand to the pipette resulting in high accuracy even during continuous use. Minimum fatigue of user’s hand and fingers. Ergonomic lightweight design with finger hook for minimum hand fatigue. Reduced thumb stress during tip ejection. Easy identification through color-coded pipette volumes. Compatible with all standard pipette tips. Large and easily visible display.